Lam Soon is collaborating with Alexandra Health System to promote health and wellness among the senior residents in its 3 Wellness Centres in the North. Besides sponsoring products for the Centre’s daily use, Lam Soon staff also volunteered their time through the Share-a-Pot activity. During the Share-A-Pot session, our staff will help coordinate some activities and cook a pot of soup for the residents. 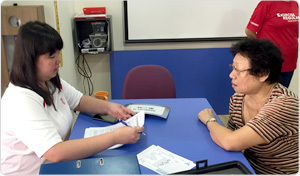 Lam Soon hopes to promote social responsibility among its staff through such community-based projects. Lam Soon Cannery, Lam Soon Singapore’s holding company, played a part in supporting the local arts and culture scene. It donated over S$2million to adopt artworks in the Asian Civilisations Museum (ACM) and National Gallery Singapore. 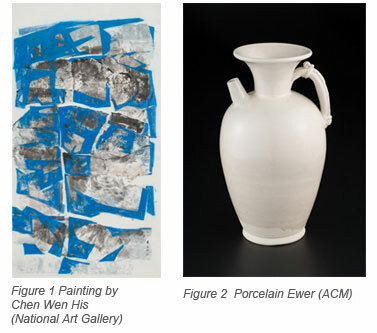 The company adopted six paintings at the National Gallery Singapore, three of which are currently on display at the DBS Singapore Gallery. In ACM, Lam Soon adopted seven Chinese works of art, three of which are on display at its Scholar in Chinese Culture Gallery. Lam Soon Singapore is participating in the National Human Capital Scholarship 2015, an initiative by the Ministry of Manpower. Launched in 2011, the scholarship is a two or three year mid-term scholarship targeted at local business school undergraduates specialising in HR. The selected candidate will then be attached to Lam Soon Singapore through engagements like internships. HealthServe Limited, an IPC-registered charity that provides medical and other related services as well as social assistance to migrant workers, held a fund-raising gala dinner on 10 October 2014. The event, titled Around The Table, celebrated the spirit of friendship and community. 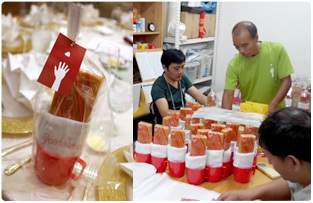 Lam Soon contributed the door gifts for the event - bars of Labour soap - to honour the contribution of migrant workers to Singapore. 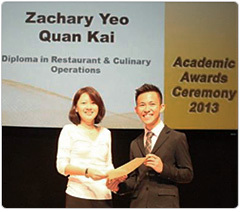 In partnership with Republic Polytechnic School of Hospitality, Lam Soon awarded a Scholarship to the Polytechnic’s student Zachary Yeo for the academic Year 2013. This is the second year that Lam Soon has awarded this Scholarship in support of the culinary industry and the aim to encourage new entrants into the food & beverage industry, The Scholarship is awarded to students with outstanding academic performance and achieving excellence in co-curricular activities. Zachary is the top student from the Diploma in Restaurant and Culinary Operations (DRCO) for Year 1 and 2. He has great passion in the area of culinary operations and is a deserving student to receive this scholarship. 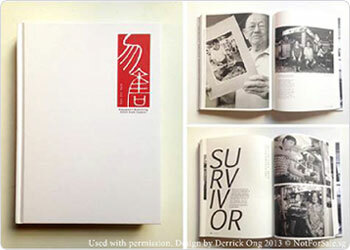 Knife brand is proud to be the exclusive sponsor for the “Not for Sale : Singapore’s Remaining Street Food Vendors” book which was officially launched on 18 July 2013. The book’s launch is part of this year's Singapore HeritageFest and is partially funded by the National Heritage Board. The book is the most complete and ambitious documentation of Singapore's street food vendors ever archived and it took 900 days to cover the 110 hawker centres and thousands of hours of interviews, recording and transcription. 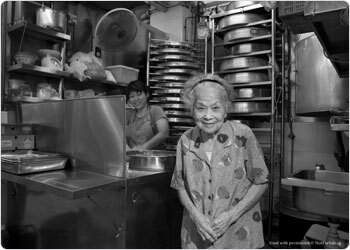 This highly acclaimed pictorial documentation celebrates local hawker food which has been part of Singaporeans’ daily lives. Sharing this legacy and heritage, Lam Soon’s Knife brand has been and will continue to be the trusted brand for generations since 1948.
Credit: “Not For Sale – Singapore’s Remaining Street Food vendors” Used with permission The Academy Pte Ltd 2013. Learning to cook is part of the holistic education for our teenagers and Lam Soon is proud to offer a wide range of our products for Home Economics lesson at the Secondary Schools. This is an ongoing project, so schools that have not signed up, write to us now. NorthLight School aims to provide an engaging education for youth and prepare them for lifelong learning and employability. The school adopts an experiential approach in teaching and learning. Emphasis is given to nurturing the students' socio-emotional development by recognising their achievements, encouraging peer support, and creating conditions to promote self esteem. As part of our collaboration with NorthLight School, we assisted the school by setting up 2 virtual retail stores in the school compound. These stores provide a realistic retail setting for students attending the Retail Operations course. As part of the school’s learning journey, teachers and students of NorthLight School visited our office and warehouse in November 2011. Temasek Polytechnic’s lecturers and students from the School of Business made a fulfilling trip to our Pasir Gudang factory and Senai Distribution Centre in Malaysia in June last year. This visit provided the team an insight of Lam Soon’s manufacturing facilities of cooking oil and margarine and the day-to-day operations at our distribution centre. 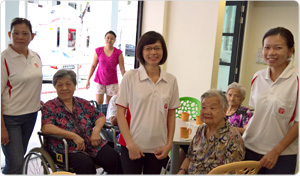 In celebration of Lam Soon’s 60th anniversary in 2010, we held a round-the-clock cooking marathon involving the community. During this three-day celebratory event, we held a special event whereby the sales proceeds of our products were donated to NorthLight School and Metta School. Besides that, Lam Soon also pledged a donation of $60,000 in products to needy families in South East District over the next three years. 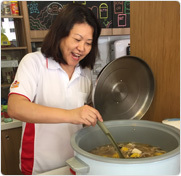 Lam Soon made a pledge to South East Community Development Council by donating our Naturel Organic Brown Rice to 3,000 needy families during one of the events : South East Skipping Challenge. This is in line with our corporate philosophy of giving back to society.